This Saturday, December 20 is National Sangria Day so let's take a moment to celebrate one of my favorite summer drinks with Beso Del Sol Sangria. Beso Del Sol is imported from Spain featuring 100% natural red sangria blended with natural citrus and fruit juices for a light and refreshing drink. With the natural ingredients this pre-made sangria is really well balanced and not too sweet with a very smooth finish. 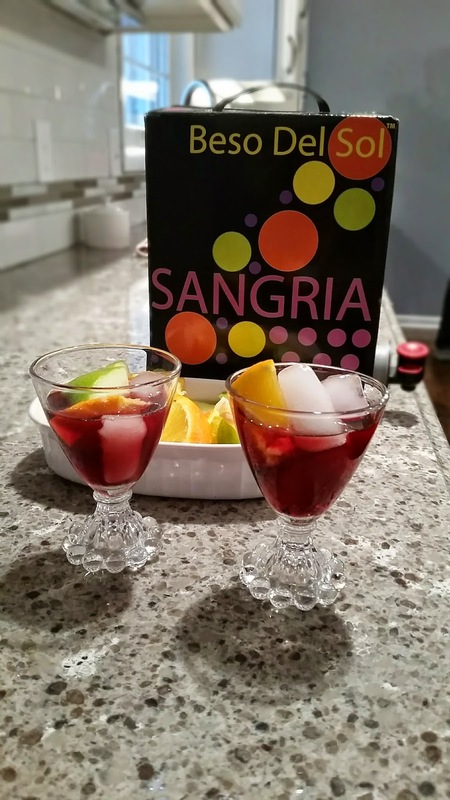 This bag-in-box sangria is just what your holiday party needs this season served chilled with ice and your favorite diced fruit. 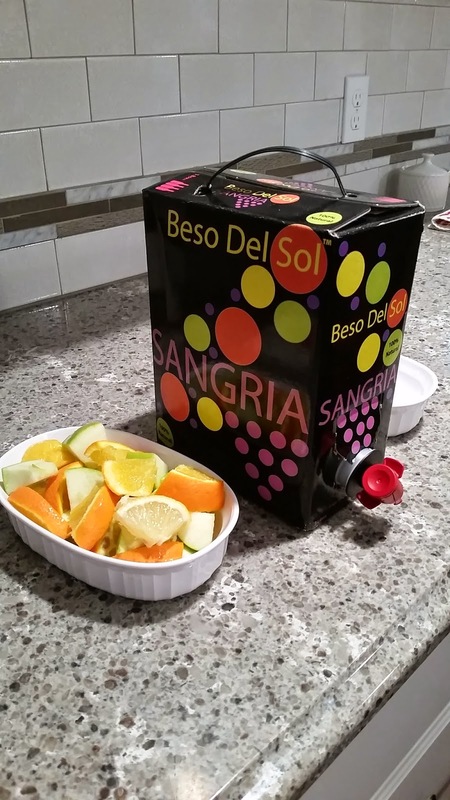 I served a traditional version of sangria with oranges, apples and lemons to complement the citrus flavors in Beso Del Sol. You could also serve a festive sangria using pomegranates, cranberries a cinnamon stick or even soda water to add some bubbles. 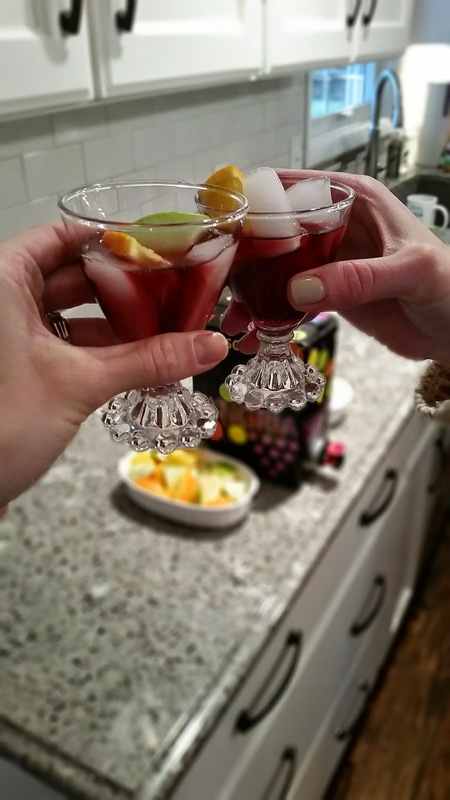 I served my sangria with vegetarian chili at a little holiday party with friends and family over the weekend. The slightly sweet sangria paired perfectly with this spicy chili on a chilly winter day. Cheers! In a 4-quart saucepan, heat oil over medium heat. Add onion, bell pepper and chilies, cook 5 to 7 minutes, stirring frequently, until tender. Stir in black beans, tomatoes, water, chili powder, cumin and salt. Heat to boiling. Reduce heat, cover and simmer for 30 minutes and stir occasionally. Stir in corn. Heat to boiling. Reduce heat, simmer uncovered 5 minutes longer. Top each serving with remaining desired ingredients. This post was sponsored by Beso Del Sol, but as always all opinions are my own.